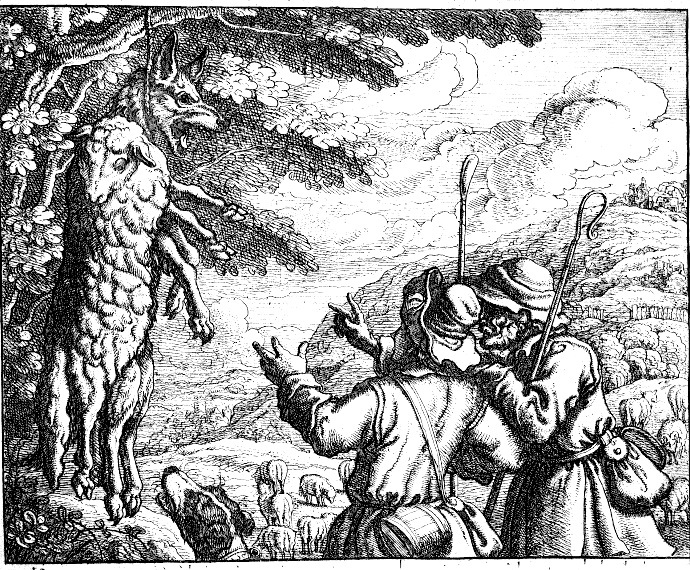 15 “Beware of false prophets, who come to you in sheep’s clothing, but inwardly they are ravenous wolves. 16 You will know them by their fruits. Do men gather grapes from thorn bushes or figs from thistles? 17 Even so, every good tree bears good fruit, but a bad tree bears bad fruit. 18 A good tree cannot bear bad fruit, nor can a bad tree bear good fruit.19 Every tree that does not bear good fruit is cut down and thrown into the fire. 20 Therefore by their fruits you will know them. Mel Wild has a post that got me to putting different ideas together, Marxism, Artificial Intelligence, and Postmodernism. ‘s post was inspired when he listened to interview of Jordan Peterson. In the interview, Peterson traces the origins of Postmodernism with respect to The Frame Problem. What is the frame problem? Well, since Peterson’s explanation (See the video on ‘s post.) is simple and straightforward, please listen. Just keep this post in mind and come back. Note that the frame problem is an AI problem that engineers are solving. That’s why we have various companies testing cars that can drive themselves (See Where to find self-driving cars on the road right now (popsci.com)). However, when some philosophers stumbled upon the unexpected difficulty the frame problem was giving AI engineers, they appropriated the problem. These philosophers used the frame problem as an excuse to attack the idea that we can know the objective truth. As Peterson points out, many of the same folks promoting Marxism now promote Postmodernism. Why? Well, it is well worth listening to his explanation. What is truth? Can the truth be known? I side with those who believe that Jesus Christ has revealed the Truth to us, but there are various ways those who hate the truth can confuse those who want to know the truth. Hence, it helps to consult an expert in Apologetics. Consider. In A Wolf in Sheep’s Clothing (renewingyourmind.org), R.C. Sproul (now deceased) explains the war within the Christian church. On one side we have Liberalism (in its most duplicitous form) and on the other we have those who believe we must adhere to the fundamental teachings of the Bible. In Four Steps Backward, Sproul begins an explanation of how Atheists attack fundamental concepts necessary for reasoning. Note that Four Steps Backward is part of of series on Apologetics that Renewing Your Mind broadcasts (actually a rebroadcast) every Saturday. What Is Apologetics?, presented on Mar 2nd, was the first broadcast the series. So when “experts”, wolves in sheep’s clothing, seek to confuse the truth, what are Christians to do? In “We All Live in Marx’s World Now “, insanitybytes22 suggests we stop taking ourselves so seriously. We must remember that to the wolf it is about power (or politics), but to us the truth is about God. Does each Christian have a personal relationship with God? Well, we should, and if we do then there is nothing any man can do to come between us and God. Jesus told us to study His Word and to spread His Gospel because we love Him and each other. If we are His sheep, then He is our Shepherd, and we will most certainly be safe from mere wolves. This topic is too steep for me. It reminded me of King Solomon spending a lifetime to observe and fix what only God can comprehend. I get turned off with artificial intelligence every time I have to call a company that has computerized questioning how to direct my call. Whenever the computer inquisition begins, I just press 0 in hopes I will be directed to human intelligence. I tried listening to the video and decided that if someone wants to AI the infinite interpretations to duplicate human intelligence, I will just pity the programmer. I really cannot comprehend or envision any program ever replacing human driving decisions. Aid a driver maybe, but replace a driver in a metropolitan area, no way, in my opinion. The ability of a human beings to observe and negotiate their environment is really quite remarkable. However, people didn’t think about complexity of the task until they started programming robots. How do you figure out what you are looking at? How well will self driving vehicles work? I don’t know, but there is lots of interest, and they are testing them on the roads. So we will see. This topic is too steep for me. A good topic, but a lot to cover here. Unfortunately I couldn’t view the Peterson video, streaming is impossible up here on our mountain. Per AI, my spouse worked for DARPA for a short time. That was when the drone technology was taking a hold, and they were making artificial hands that were thought controlled for amputees. About 15 years ago. He asked the lead scientists for those projects when they thought AI would take over flying fighter jets, for example. The answer was “not in any foreseeable future”. It was explained that sort of environment was so dynamic that to invent the equivalent of a human brain that could process all that incoming data and make immediate judgements…it was going to be a long, long, long while. We’re probably closer now, but as the 737MAX situation shows, there are some substantial hiccups. Six years is considered a computer generation. The hardware improves by a about a factor of ten every generation. Historically hardware improvements have allowed programmers to do things they could not do before. The problem is finding programmers with the talent. That’s why top programmers make big money. It is a lot easier to find a guy we can put in a cockpit and let him fly the fighter jet than it is to find a programmer who can program a fighter jet to fly itself. When the F-4 Phantom first came online that fighter did not have any guns. Supposedly, it was going to “shoot” down enemy aircraft with missiles. Problem? The enemy fighters were able to dodge the missiles. So the F-4 had to be retrofitted so it had guns. AI to assist with alerts is okay with me. But there will never be a better A1 plane that will compare to a pilot capability of Capt. Tully, in my opinion. I am of the somewhat subjective clan, as in yes, objective truth is a real thing, but our subjective response to the truth is also a powerful thing. Framing literally gives us the frame in which to frame our reality correctly. There really are many different perceptions and views, but not all views and perceptions are equal, valid, or even healthy. A big problem with both post modernism and Marxism, is this idea that everything is “equal,” which actually just produces incredible inequality, injustice, and suffering. So in faith “framing” translates into perceiving the world through God’s eyes, you are more than a conqueror, “I will never leave you or forsake you,” versus “life has no meaning or purpose and then you die.” Well call me crazy, but one view is healthy, the other is not. One perception is superior, the other inferior. One perception benefits humankind, the other leads to our destruction. So what is “fair” given those conditions? To insist that good ideas are better than bad ones, makes the people with bad ideas feel bad. I’m chuckling here, that’s hard truth to stand in, in a world gone mad, but it is vital and necessary. Not all things are equal, not all ideas are good ones. Excellent comment. I will just add this word, one I am certain you will approve, “love”. We all cannot avoid being somewhat subjective. We all have our own point-of-view. Love, however, helps us to surmount our limitations. When we love each other, we try to understand what each other sees. When we love God, we stop trying to be so self-centered. We strive to see the world as He sees it. We then begin to see what God calls good, not just what our pride demands. I’m of the baaaaa baaaa clan— we follow our shepherd — sometimes we get a bit lost— but we know his voice just as he knows ours— so we know he leads us from the wolves— following however does not keep them off our heels — but follow we do!!! Baaaaa baaaa clan? Me too!